HTC has leapt on the crypotcurrency bandwagon after revealing plans for a smartphone powered by blockchain, and we now knwo it's called the HTC Exodus. 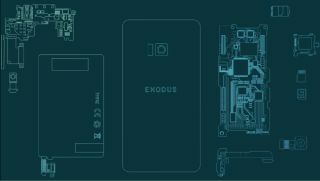 The Android-powered Exodus device will feature a universal wallet and hardware support for all major cryptocurrencies, including the likes of Bitcoin and Ethereum, as well as decentralised apps. There's no details yet on pricing or availability, but the Exodus looks like it will pack some highly powerful software designed to provide a secure blockchain experience. Blockchain technology should ensure extra security due to high-level encryption tools, as well as the ability to connect to superfast networks to ensure speedy transactions. HTC is reportedly looking to eventually launch its new native blockchain network ecosystem, with the individual Exodus devices acting as nodes for trading amongst users. The device is the brainchild of Phil Chen, who was the driving force behind the HTC Vive virtual reality headset. “We envision a phone where you hold your own keys, you own your own identity and data, and your phone is the hub," Chen told the Consensus 2018 blockchain conference in New York yesterday. However despite HTC may like, the Exodus is not the world's first blockchain phone. CNET notes that that title belongs to the little-know Finney phone, which was revealed earlier this year. Created by Sirin Labs, the $1,000 device allowed users to store and spend digitial currencies without incurring transaction fees.